But is he the right hero for her? A fresh start might be just what she needed! 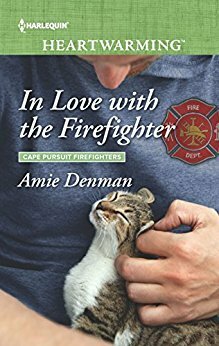 With the first book in the Cape Pursuit Firefighters series, we meet Nicole and Kevin. He really likes her, but she’s got a major chip on her shoulder. We can understand as we hear her story of why she’s got the hang ups that she does, but we hold out hope that nice guy Kevin will be able to sway her to his point of view! The only thing I wasn’t overly fond of in the book was that Jane & Charlie’s story was stealing the limelight. 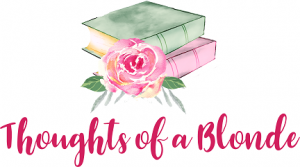 A classic case of secondary characters being too strong … they really should have been a separate book all on their own with only hints of the start of something in this one. Nicole Wheeler is emotionally drained, but she’s looking forward to starting fresh here in Cape Pursuit, Virginia. Her college friend Jane has offered her a job just when she needed it most to get away from the heartache of losing her little brother, and she needs to brighten her world up a bit … and what better way than to meet a man! Kevin Ruggles doesn’t exactly welcome Nicole to town in the usual way, but it doesn’t take him long at all to be smitten with her … only problem is, he has the bad luck of being a firefighter … the one job she will never find acceptable after it stole her brother from her!